Hotel Love It Consulado is a 4* hotel located in Guadalajara, Mexico. It features 43 rooms. 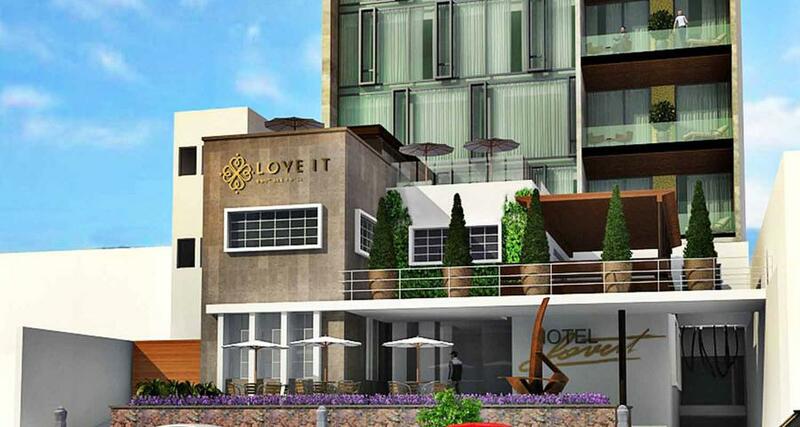 Hotel Love It Consulado is located a few blocks from several consulates in Guadalajara and just a few minutes from the famous Paseo Chapultepec, which has numerous restaurants, bars and cafes. Housed in a modern seven-story building, this hotel has impeccable interior décor with an avant-garde style, where the most important thing is the comfort of its guests. It offers services and amenities for business travelers and vacationers, including event facilities and wireless Internet access in all areas of the property, as well as guestrooms with work desks.